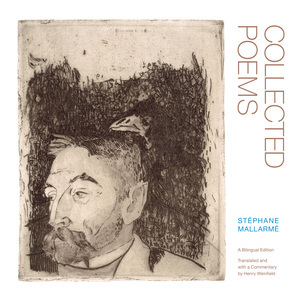 Stéphane Mallarmé (1842-1898) is one of the giants of nineteenth-century French poetry. Leader of the Symbolist movement, he exerted a powerful influence on modern literature and thought, which can be traced in the works of Paul Valéry, W.B. Yeats, and Jacques Derrida. From his early twenties until the time of his death, Mallarmé produced poems of astonishing originality and beauty, many of which have become classics. In the Collected Poems, Henry Weinfield brings the oeuvre of this European master to life for an English-speaking audience, essentially for the first time. All the poems that the author chose to retain are here, superbly rendered by Weinfield in a translation that comes remarkably close to Mallarmé's own voice. Weinfield conveys not simply the meaning but the spirit and music of the French originals, which appear en face. Whether writing in verse or prose, or inventing an altogether new genre—as he did in the amazing "Coup de Dés"—Mallarmé was a poet of both supreme artistry and great difficulty. To illuminate Mallarmé's poetry for twentieth-century readers, Weinfield provides an extensive commentary that is itself an important work of criticism. He sets each poem in the context of the work as a whole and defines the poems' major symbols. Also included are an introduction and a bibliography. Publication of this collection is a major literary event in the English-speaking world: here at last is the work of a major figure, masterfully translated. Henry Weinfield, Professor of Liberal Studies at the University of Notre Dame, is author of three collections of poetry and The Poet without a Name: Gray's Elegy and the Problem of History (1991).